Gears of Halo - Video game reviews, news and cosplay : Want a job making the next Halo game? 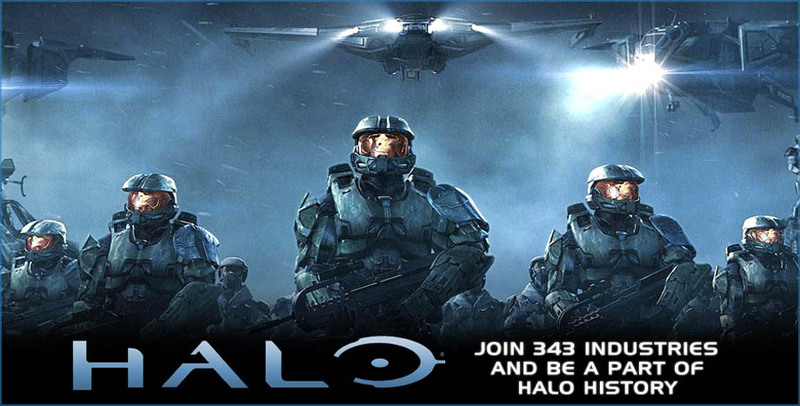 It's no secret that Microsoft is making a new Halo adventure for us fan boys to take part it in, but did you know it was being made by 343 Industries? Bungie said goodbye with Halo Reach , and now Frankie and the crew he's been quietly putting together are working on something big that's probably gonna be called Halo 4 (or maybe a Halo: Remake?). The only way to know for sure is get a job at 343 Industries, wherein after being sworn to secrecy you'll be given the keys to the Halo Castle. So if you're a animator, engineer, designer why don't you check out the jobs going at 343 and get yourself on the inside?